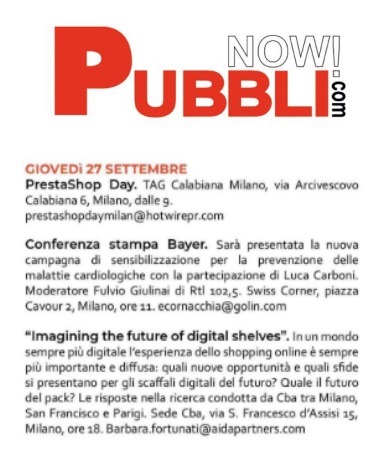 This year, PSD Milano was another success! 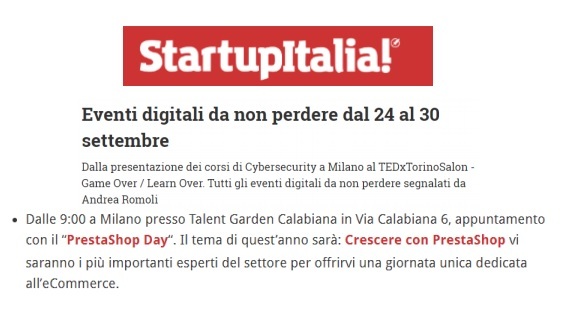 More than 1,100 industry players registered and around 750 participants attended. Thank you! 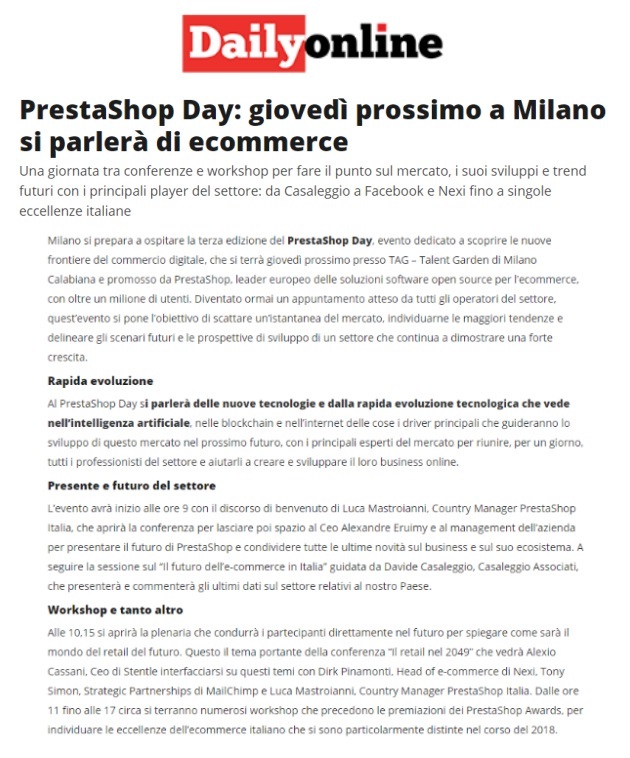 Paris, October 8, 2018 - the TAG Calabiana Milano hosted the third edition of PrestaShop Day on September 27, an event dedicated to discovering the new frontiers of digital commerce, promoted by PrestaShop, European leader in open-source software solutions for e-commerce. 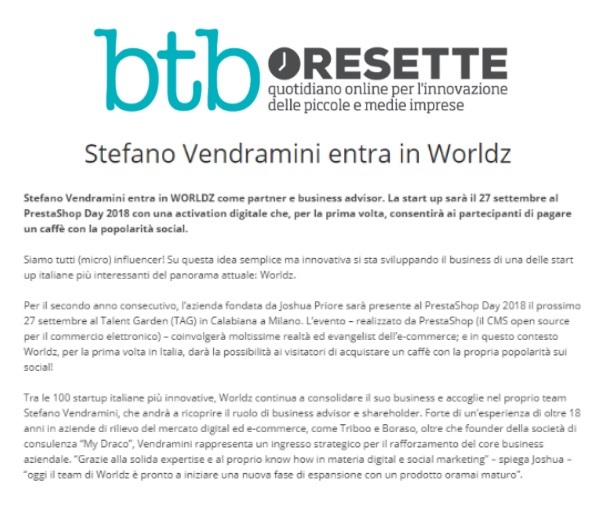 This event has become one of the major meeting points for all industry experts to help them create and develop their online business, taking place all over Europe. 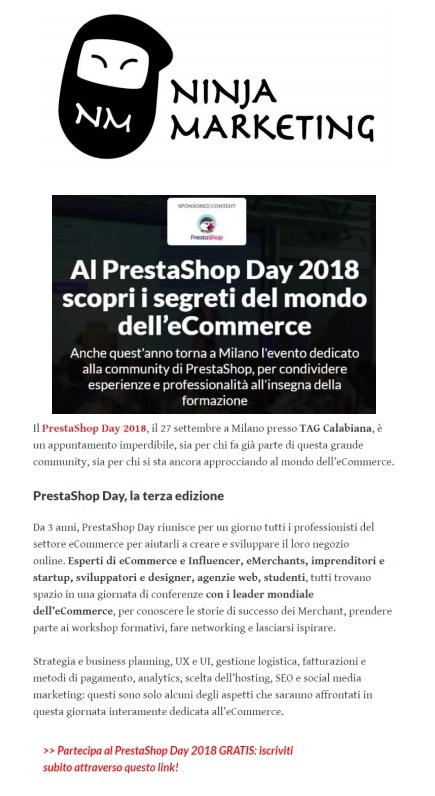 PrestaShop Days aim to take snapshots of the market, identify the major trends and develop prospects of a sector that continues to demonstrate a strong growth. 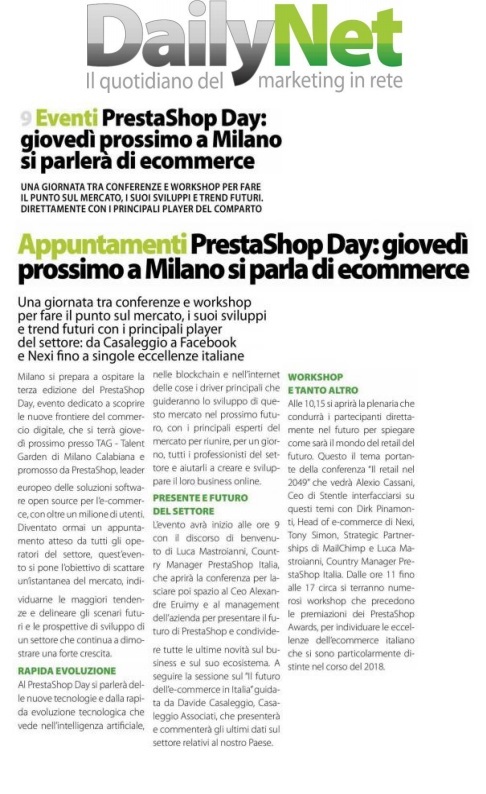 With over a million users, PrestaShop is today one of the most used e-commerce platforms in the world. 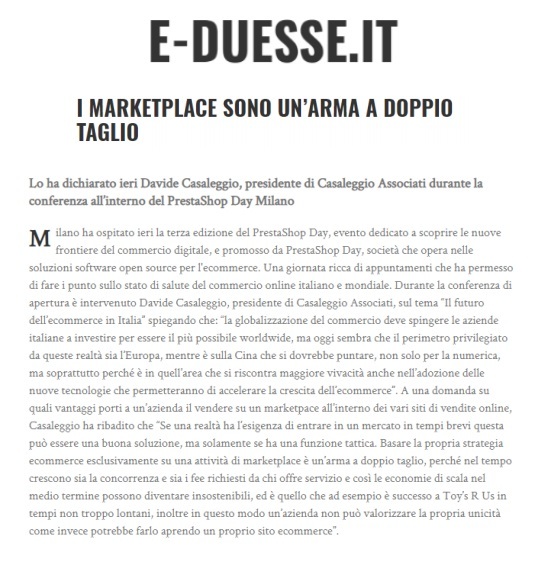 270,000 e-commerce sites are using PrestaShop in more than 190 countries. 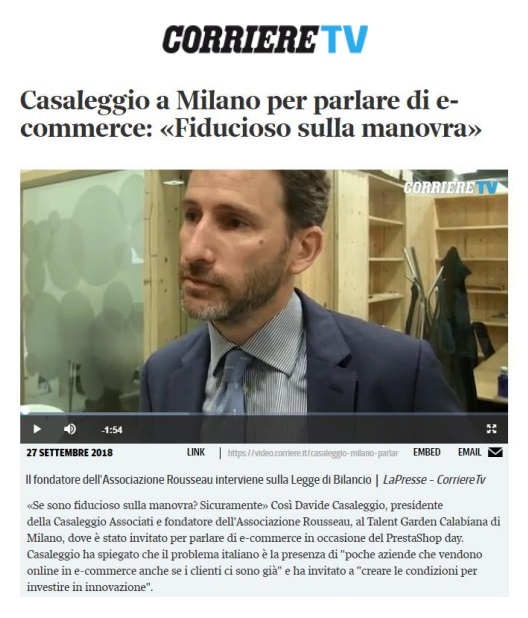 The Italian market encounters a strong rise in the e-commerce sector which, until today, is the only sector with a double-digit growth and with forecasts to maintain this trend over the next few years. For more information, visit https://www.prestashop.com/en.